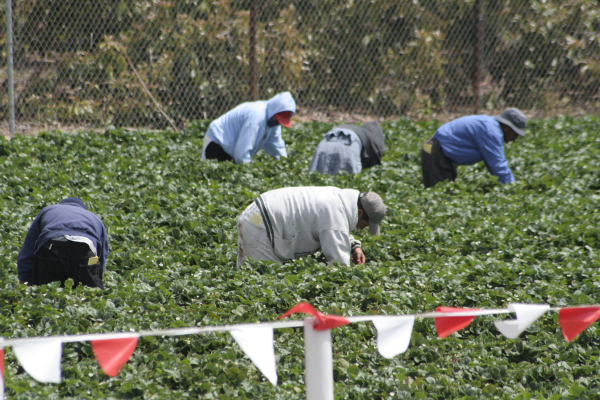 Migrant Workers picking strawberries in a field. The UK’s agricultural workforce has always been on the frontline of change. As an industrialising country Britain went through the world’s first technology-driven economic transition, and in the present day a further wave of innovation in agri-tech looks poised to decimate the workforce once again. 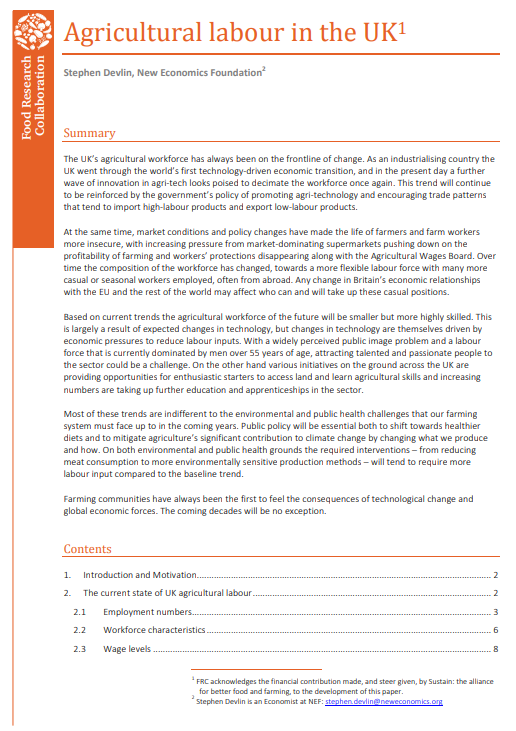 This briefing paper reviews the current trends in the UK agricultural sector, as well as the pressures and challenges it faces now and in the future. With a widely perceived public image problem and a labour force that is currently dominated by men over 55 years of age, attracting talented and passionate people to the sector could be a challenge. However, on both environmental and public health grounds the required interventions – from reducing meat consumption to more environmentally sensitive production methods – will tend to require more labour input compared to the baseline trend. The report was first presented in a joint FRC/Sustain roundtable on food, jobs and work, held on 20 April 2016.